::Momma Disclosure:: This is part of a sponsored collaboration with Arandas Bakery. However, all opinions expressed are my own. Some of my favorite memories are from when I was a child and spent Christmas in Reynosa, Tamaulipas, Mexico. 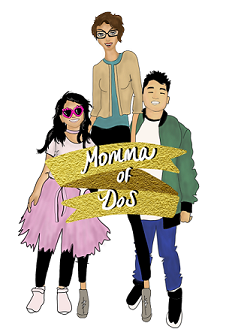 We loved going to all of the Posadas in December, spending Noche Buena and New Years at my GrandMother's house and just when we thought the season was over. We had a bonus holiday, Dia de Reyes. We would place our shoes under the Christmas tree or in front of the Nacimiento (nativity scene) and then on January 6th our shoe would be sitting on top of an extra gift depending on how big it was, from the 3 wise men. It was so magical. It's this type of tradition that I love passing on to my children. 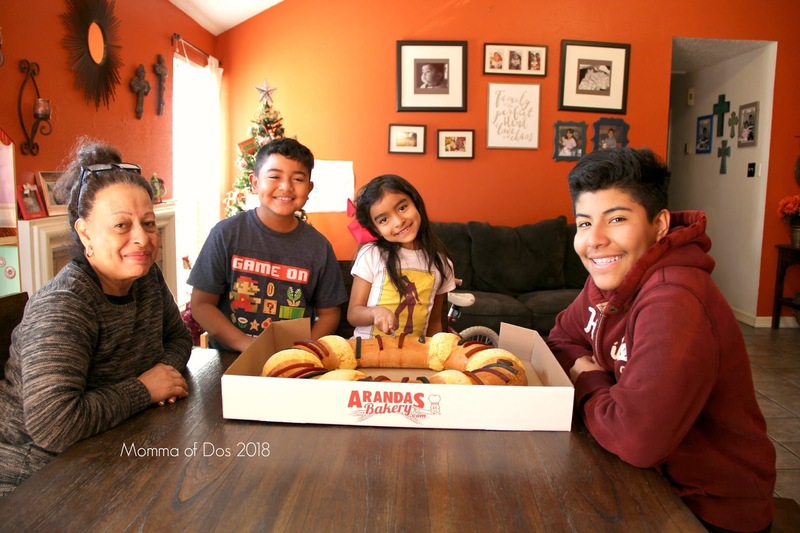 When I was asked to visit one of the original locations of Arandas bakery here in the heart of Northside Houston, where I grew up, I was more than happy to do it. I went behind the scenes with the location's manager, Johnathan who gave us a tour of how things happen on one of their busiest holiday's. You can see a full video on my Facebook page. The location works around the clock with 50 staff members, for almost 4 days to produce, hundreds, if not thousands of delicious roscas, or King's Cake. The dough is set overnight to rise and then baked for 45 minutes in their industrial ovens, cooled, then decorated with candies imported from Mexico and then inspected again. The roscas are then boxed and set out in the bakery for fresh purchase or delivered and picked up for external orders. The roscas go as far as Baton Rouge, Louisiana. To be enjoyed by families who celebrate this day. The rosca has a secret though, plastic "baby Jesus" figures are hidden inside the bread and it's said that whoever finds the baby Jesus figurine is blessed. It is then that persons' responsibility to have a rosary or mass dedication on February 2 on el Día de la Candelaria. 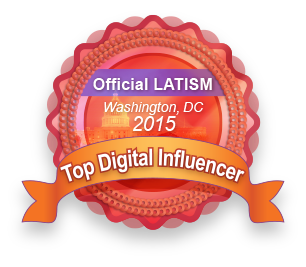 In the Mexican culture, this person then hosts a dinner and typically serves tamales and atole for the attendees. Arandas Bakery hides 3 figurines in their large roscas and 2 in the smaller one. And, by the way, those tamales can also be purchased at an Arandas Bakery location nearest to you. 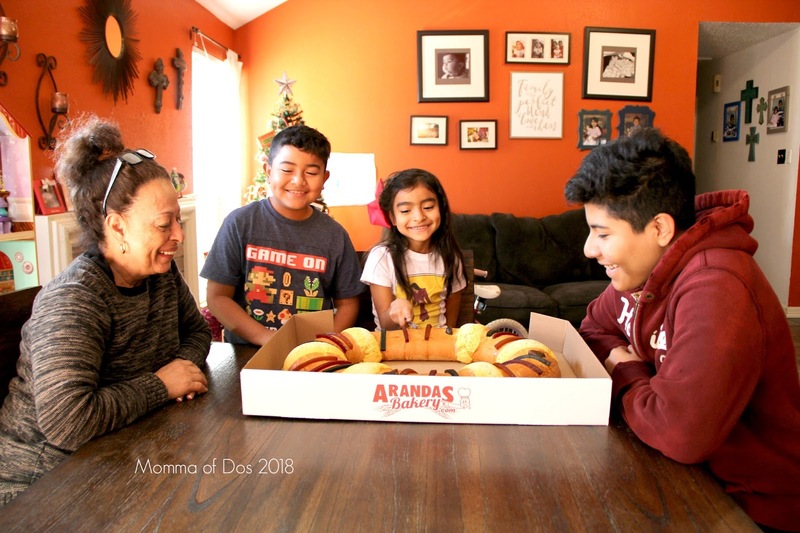 After we had the location tour, the Arandas team had a Dia de Reyes celebration at their Plaza Arandas location near Airline and Tidwell, where they gifted a large group of deserving children, with a gift from the Reyes Magos. It was great to see all the kids patiently waiting. 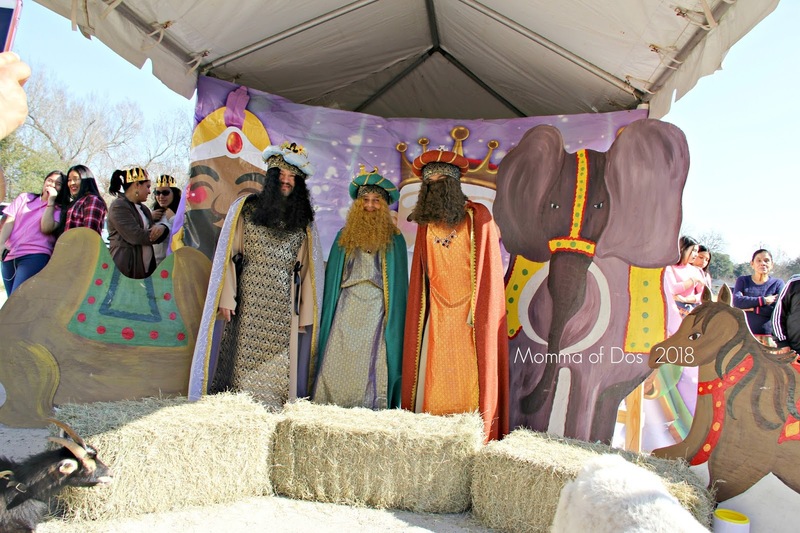 The Reyes Magos showed up and the children lit up with joy. You can see more on my Instagram and page. 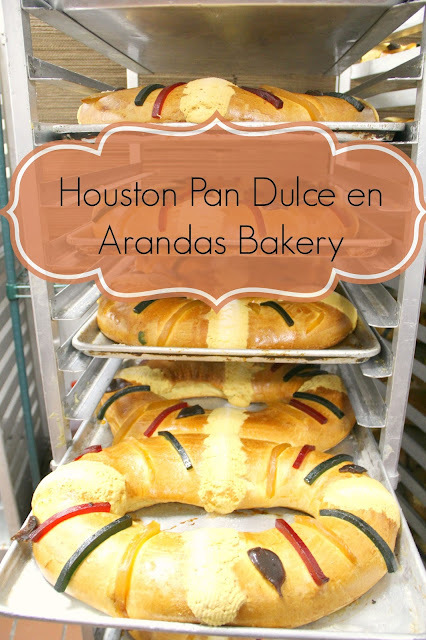 "Arandas Bakery comes from a strong, deep tradition of delicious and authentic Mexican pastries and desserts. 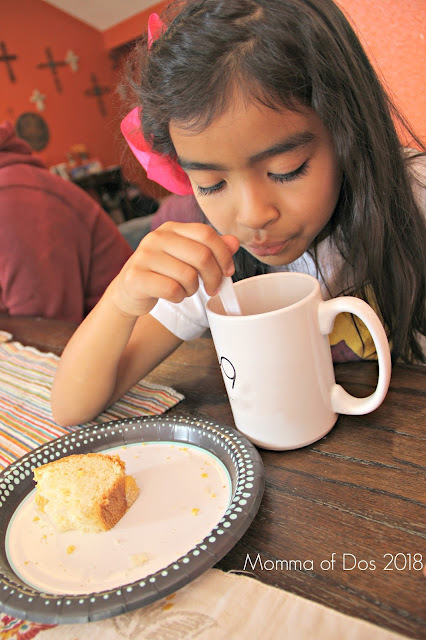 Through the years we have used are traditional recipes that come from the depths of Mexico. Our name, Arandas, comes from the small town name of Arandas in the state of Jalisco, which is about 140 kilometers East of Guadalajara. This is where our family is from, and where our traditions began."